Popping in quickly today to share a card I created for TCM. I was feeling a little bit sad to pack away my Christmas stamps for the year...Feeling as though I hadn't quite used them as much as I had wanted to this holiday season. And then I thought, "Why do I have to make holiday cards with holiday stamps? Can't I simply use them whenever I please?" It seems like such a simple thought, but it is something that I rarely remember to do! Happy to report that I think this little realization has resulted in a happy ending and will yield to many more outside-the-box crafting from yours truly. I used the Season's Greetings set, stamping with both the frame and the sentiment. I used a polka-dotted paper from Prima and a yellow print from Teresa Collins ( Vintage Finds collection). 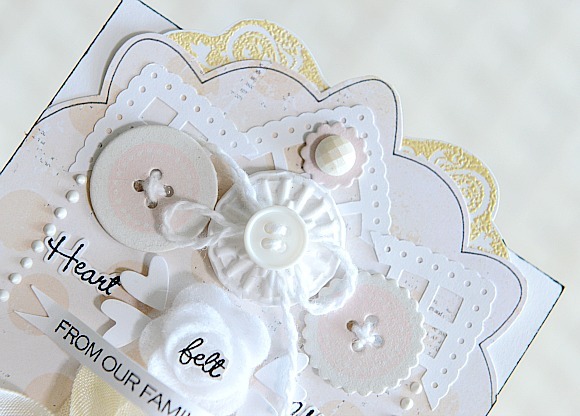 I stamped button images onto two die-cut chipboard buttons, using PTI's Button Boutique stamp set and dies. In between the buttons, I added one of my hand made clay buttons, with another button layered on top. The three white lacey points were punched out using this Martha Stewart heart punch, which I cut and positioned together to enhance the shape of the card. 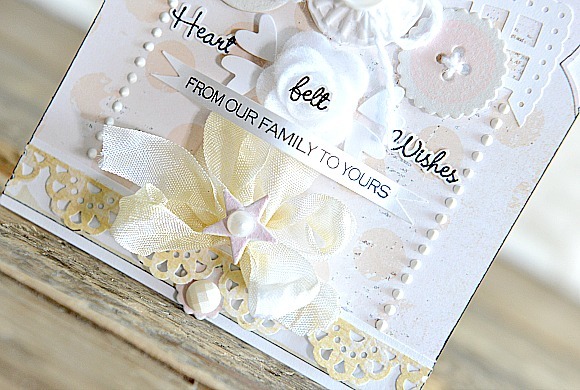 To finish the card, I added a little bit of shabby yellow ribbon, some die-cut stars and hearts, and a pretty rolled rose using this Die-namics die. 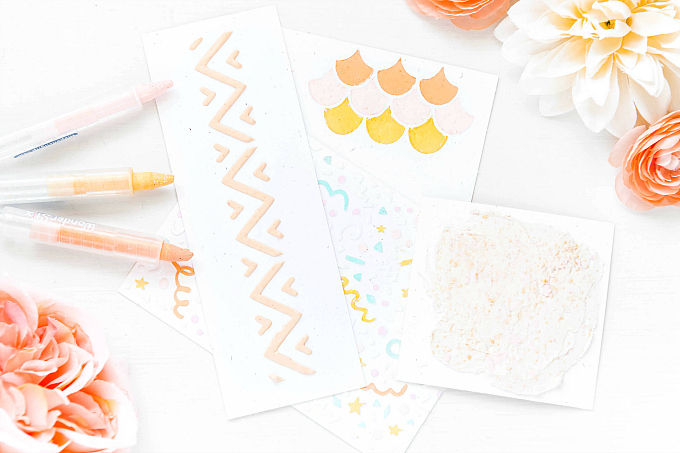 I hope this will inspire you to dig out your stamps and other crafty goods, and give them a new life by thinking outside the box, or in this case, outside the season!